Fear IS a bully for certain. He’s like the burglar at the door. We’d never let a burglar come in our front door, yet we crack the door open for fear and let him get a foothold inside the door. Thanks for the rally cry and encouragement to slam the door shut and kick the enemy to the curb where he belongs. Fear. Ugh. I hate how often I’ve fed it, encouraged it, allowed it to have more power than it deserved. I’m so grateful for the reminder to face it. The best news is that we never face it alone. We have a God who will stand in that gap, between us and fear, and it has no chance to overtake us. Hi Celeste! I have been on both sides of the bully track. The bully when I was going through a tough family time in 5th grade. Bullied in many other ways throughout my school years. Being on both sides has helped me become more compassionate for both. I loved Holley’s book and how she talked about fear being a bully. You’ve reminded me to get it out again to gain some powerful encouragement. Blessings to you! That image of believing a lie and throwing a bone to fear is so vivid. And I love the story you shared of how your friend faced your bullies alongside you. 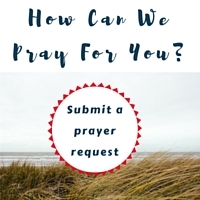 May this community serve in that role for Christian women as we bring our own fears out in the open and declare that God is bigger and well able to take us through the scary-brave as part of our journey of growth and maturity and availability. Fear is a bully and I’m glad you pointed out how the enemy uses it for his gain. Saying “yes” is the easy part. Following through with the “yes” is where the enemy tries to derail us. Your mission to do more things scared is a great way to walk out your life in obedience to God. May we all rest secure in our identity as a child of God and say “ yes “ knowing God will provide. 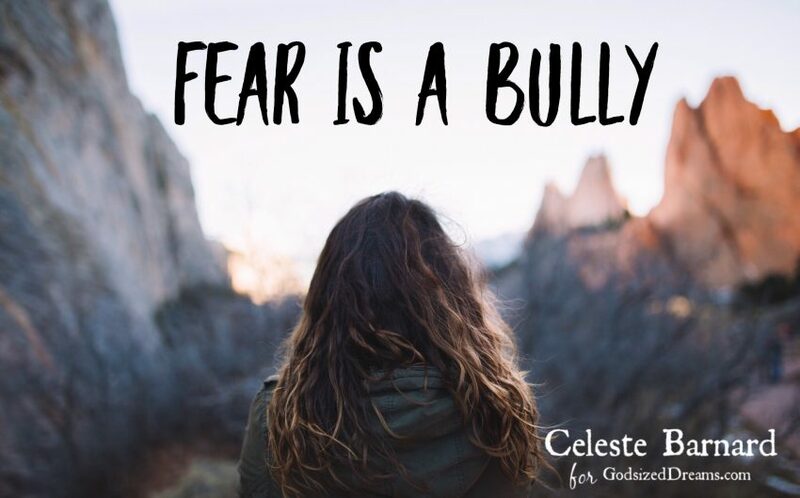 Dear Celeste, I’ve never connected fear and bullies in this way, but it’s so true! In the midst of trouble I tend to thrash about in my helplessness, when the Lord exhorts us to simply stand and be still. 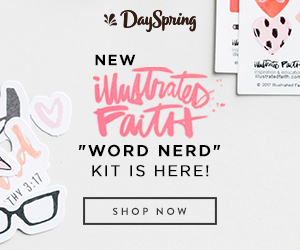 Thanks and blessings for this very timely reminder! I love that you said not to feed your fear but let it starve…why don’t I look at it that way? Thank you for helping me shift the way I see fear! I love thinking of fear as a bully. Truth there. I also love the reminder of getting up to speak and fear being a bully. Thanks for these words. FEAR IS A BULLY. Taking it captive to the obedience of Jesus Christ.